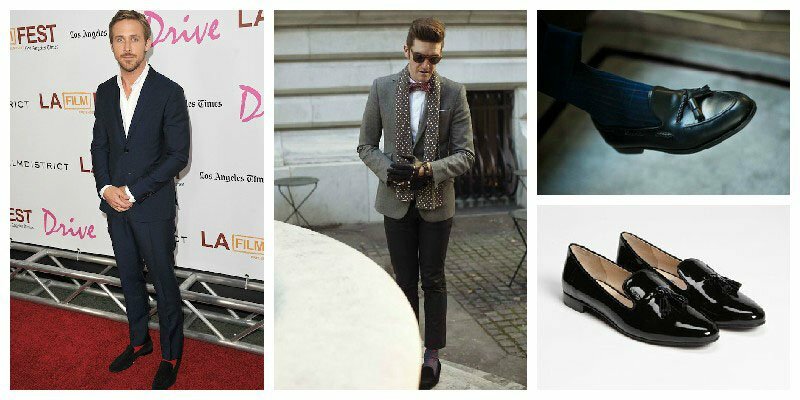 No doubt sporting loafers and socks is a stylish look that registers effortless and easy. Despite the favourable consensus of loafers without socks, pairing socks with loafers can remarkably add dimension to looks, providing a layered proportion as well as a subtle introduction of colour. However, the combination can be a little tricky to pull off, which is why we’ve created this guide on how to wear the two together. 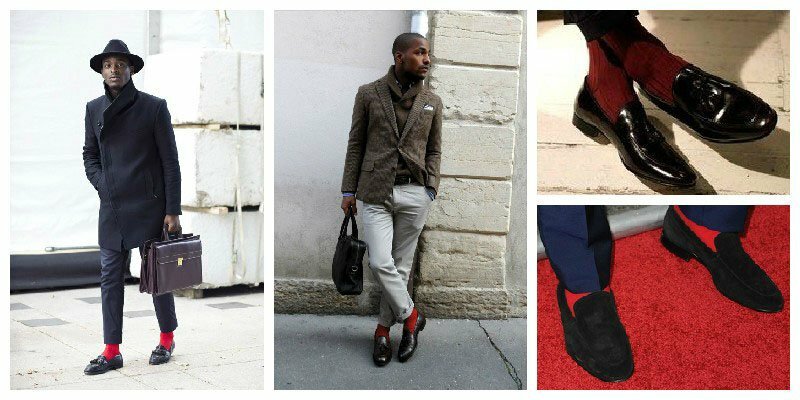 Below are eight ways to wear socks with loafers and not look daggy. Experiment with the colour of your socks as this will provide a focal point and lend more dimension to neutral looks. Dusty brown loafers will work well, particularly in combination with a beige blazer. 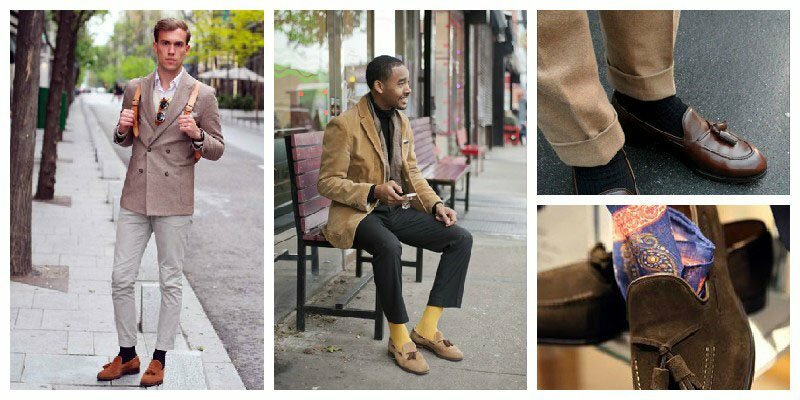 Alternatively, go for beige loafers with bright hue socks to pull looks together in a more obvious way. 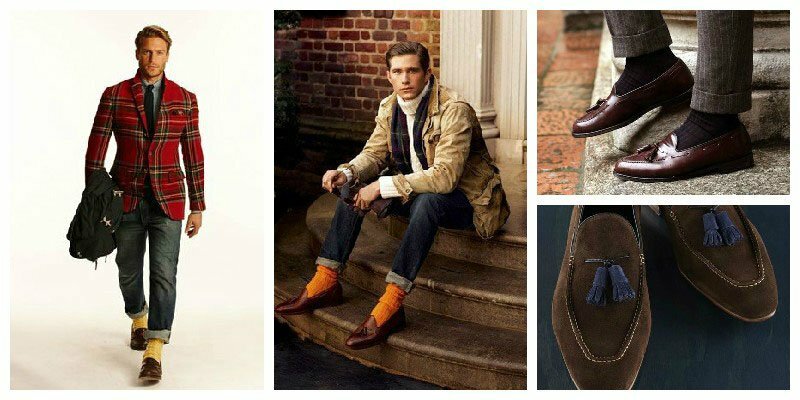 Team rich coloured socks with suede loafers for weekend looks that boast traditionalist dimensions. The introduction of thicker socks will create a sartorial story featuring practical warmth and a dash of transatlantic preppiness a la Ralph Lauren. The traditionalist weekender look works incredibly well with conservative prints and colours, so go for rich burgundies, warm emeralds and grounding browns. Tartans and ginghams will reference earlier times where socks were not only socially mandated but also highly popularised. 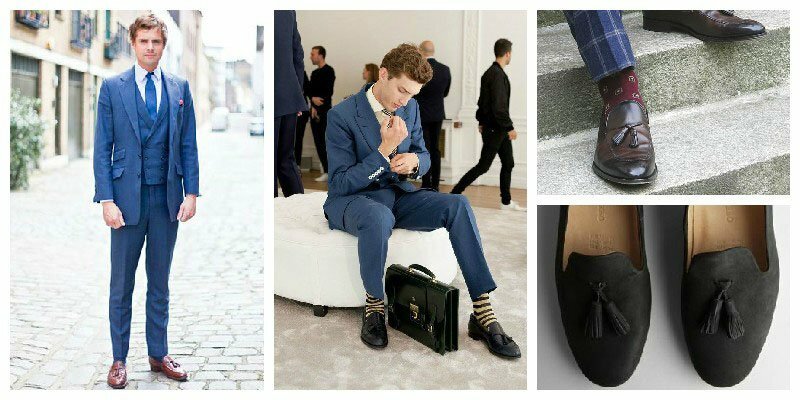 Socks with loafers will provide an unexpected element to more corporate looks, lending a useful accompaniment to work wear that will prove chic as well as cosy. Team corporate suits with matching socks or introduce a varying hue for a stark contrast. 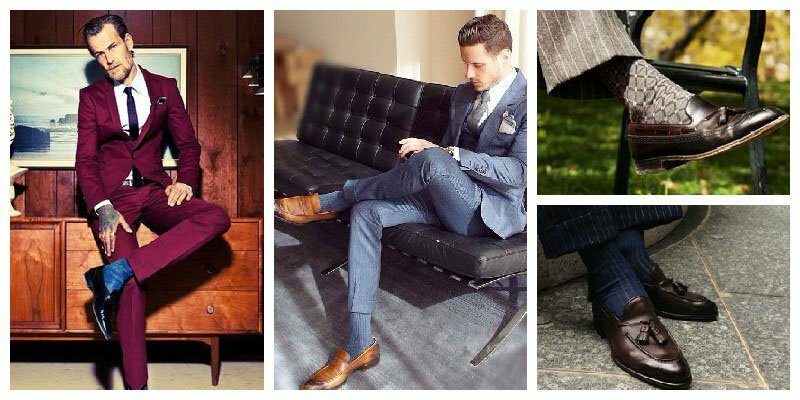 Be mindful of the type of socks employed for these looks, ensuring they are professional and somewhat traditional. An advantage of teaming socks with loafers is that it provides a practical means of introducing colour and spark to even the most basic outfit. A worthy supplement to all black is a brighter hue for an injection of colour to minimalist staples. Bright vermilions and grass greens will work well to enhance your looks. A recent must-have, particularly for spring, is a well-tailored blue suit. In order for a bit more character and proportionate look, introduce darker loafers with thinner socks for an unexpected take on this recent suit trend. Striped socks will work well to ground looks or keep things simple with a patterned emerald or oxblood socks to complement the blue tones of your suit. Ensure loafers are in burgundy, tan or dark brown colours. Perfect for a warm accompaniment to day looks, loafers and socks with casualwear are a practical as well as interesting take on day wear. Team darker denim with light socks or light-wash denim with darker hue socks for contrast that will prove simple but visually effective. 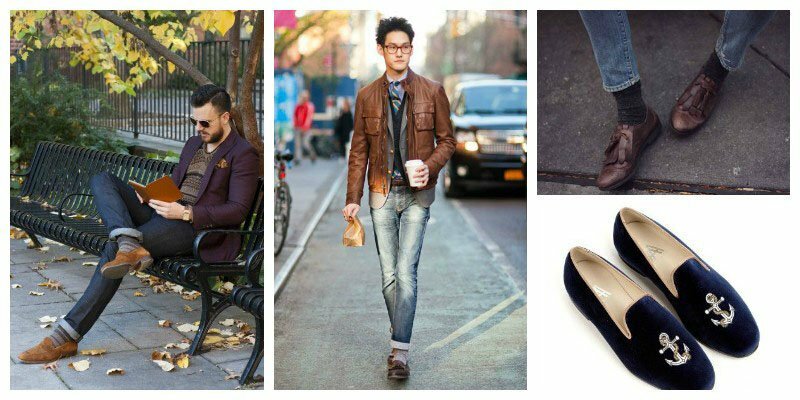 Keep in mind the colour of your loafers, worn browns and dove greys work remarkably well with denim and materials like velvet or suede are easily adaptable and complement casual looks affably. Change things up with an unexpected introduction of socks with loafers with a mindfulness to accompanying accessories. Ground sun hats or graphic scarves with subtle coloured socks, or go for something more vivid like bright patterns to play off more statement pieces. Annotate looks with pocket squares for a personal touch. 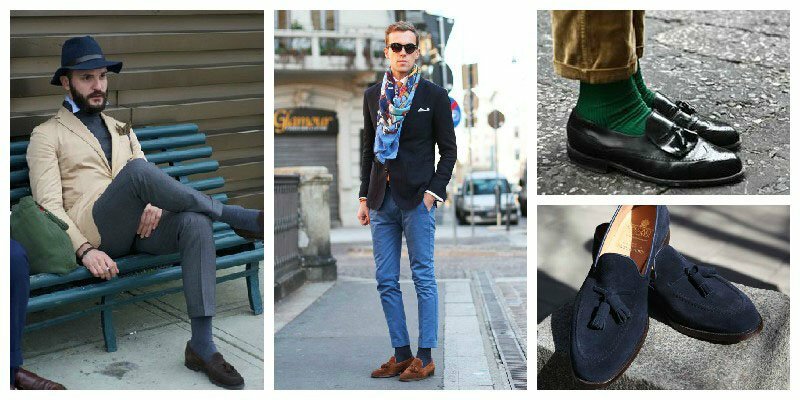 Socks with loafers will add creativity and ensure formal looks are not one-toned or boring. The trick to harnessing socks with loafers in a formal sense is not to be afraid of brightly coloured socks, which will work favourably with darker suit styles, spotlighting your personal style.